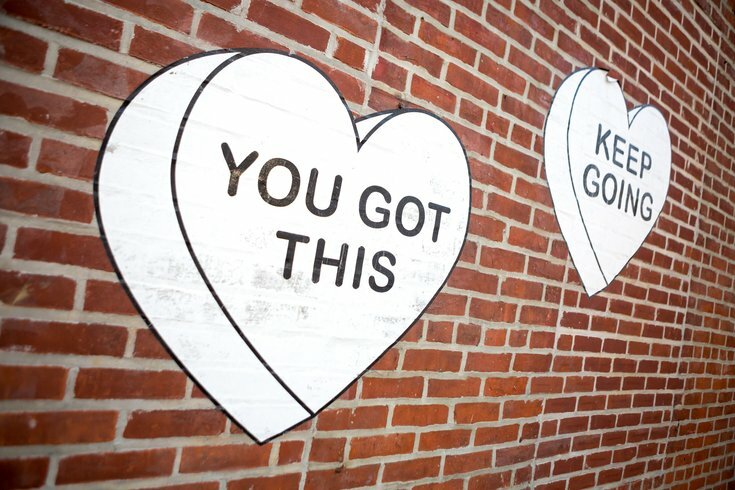 Two of Amberella's Goth Hearts on the exterior wall of One Shot Coffee in Northern Liberties. Attention Philadelphians and visitors to the City of Brotherly Love – we know where everyone will be snapping selfies for the 'gram this summer. A five-room, pop-up exhibit is opening Memorial Day weekend, featuring the work of local artists. Amberella, known for her Gothic Hearts, and Martha Rich, who has worked for clients like Rolling Stone and Minigrow, are among the artists who are creating one-of-a-kind pieces for Photo Pop Philly. A red-white-and-blue-theme will tie the whole exhibit together. Interested in checking it out? Tickets are already available online. Photo Pop Philly will run Thursday, May 24 through Sunday, July 8. For $25, you'll get one hour in the space to take as many photos as you please and hopefully get that perfect Instagram shot (discounts available for military with ID).